On Sunday 14/27. 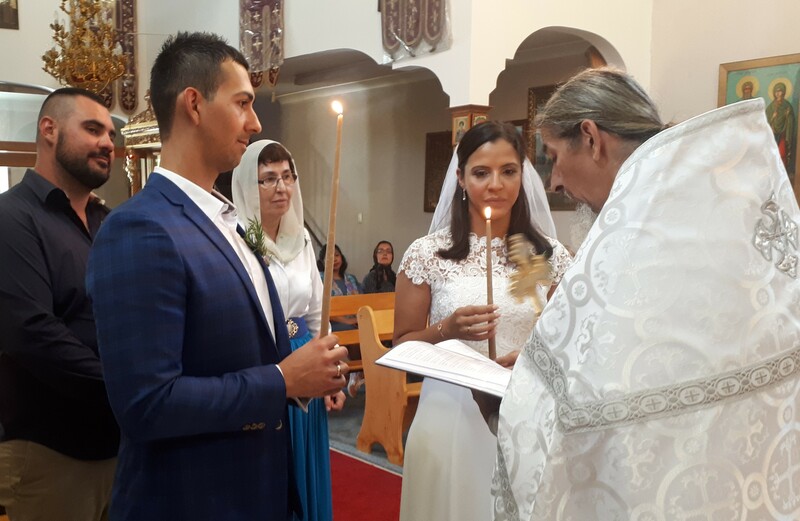 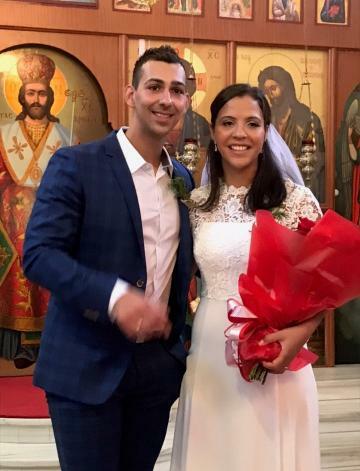 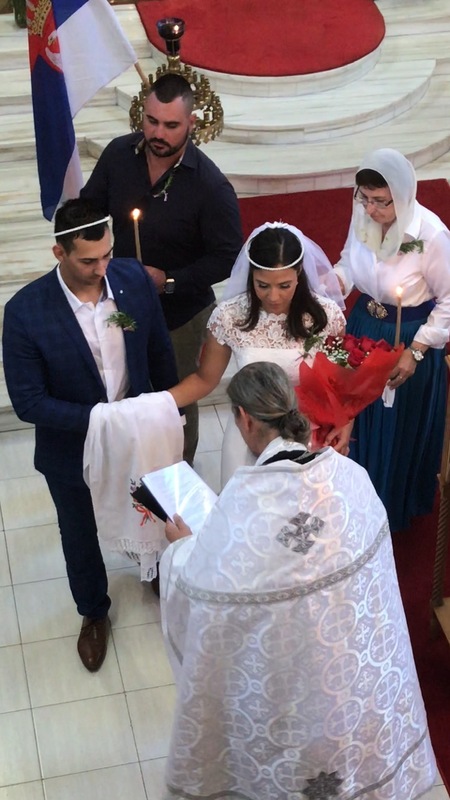 January 2019, the servants of God Nikola and Natalie received the Mystery of Marriage. 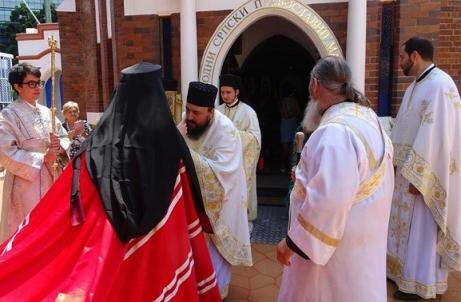 Father Nebojsa Mirkovic served at the Greek church of Sts Cosmas and Damian in Sydney (Dulwich Hill). Many years to the newly weds! 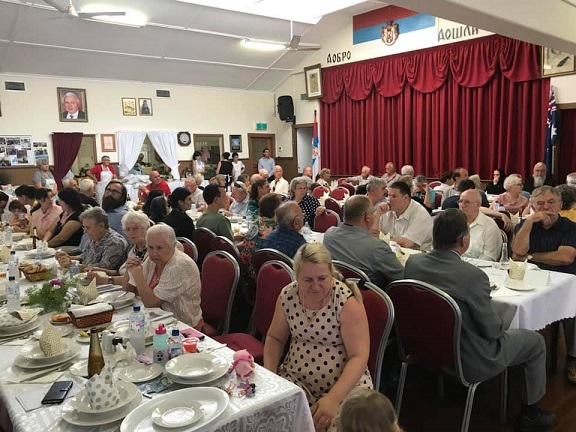 The parish of St John of Kronstadt celebrated its January feast day at the Greek church of Sts Cosmas and Damian this year, accommodating a larger number of parishioners. 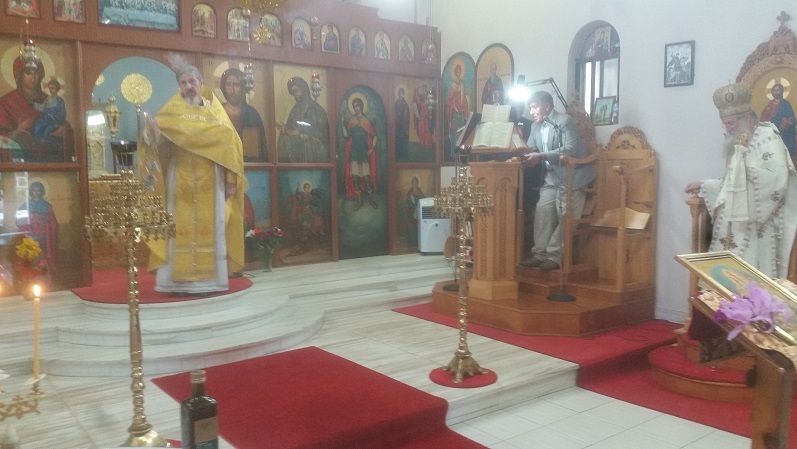 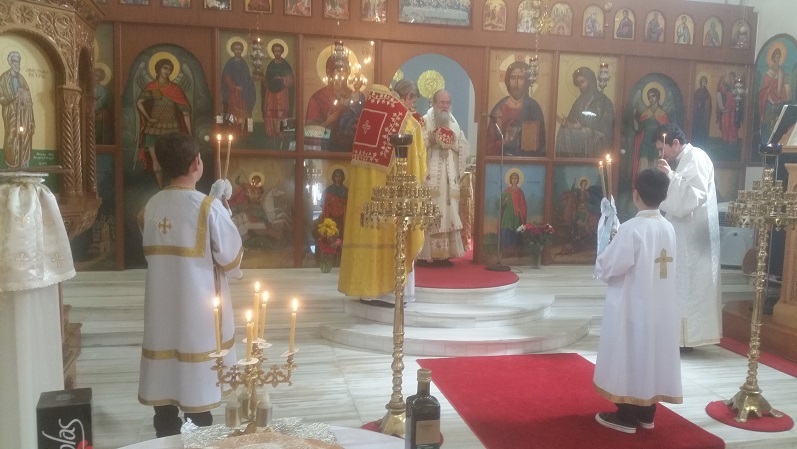 The service was entirely in English, with Bishop John presiding and father Nebojsa Mirkovic concelebrating. 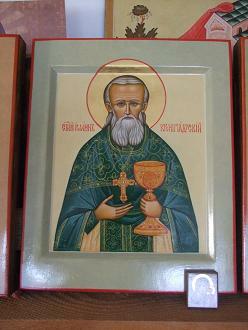 At the small entrance, father Nebojsa was awarded with the nabedrennik and kamilavka. 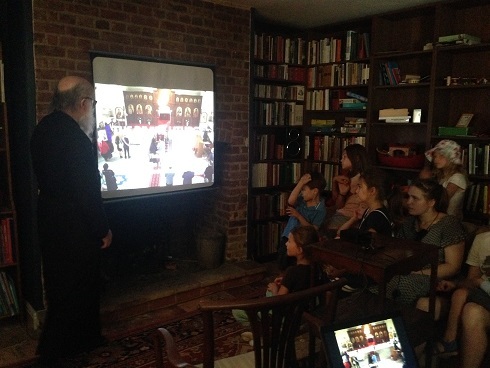 After the service, the parish gathered for an extended meeting and discussion. 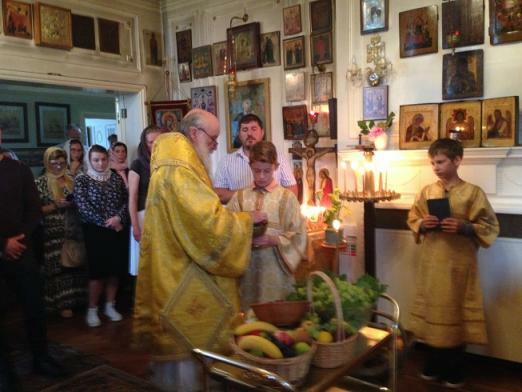 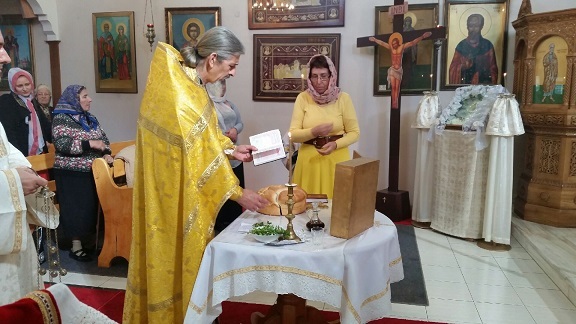 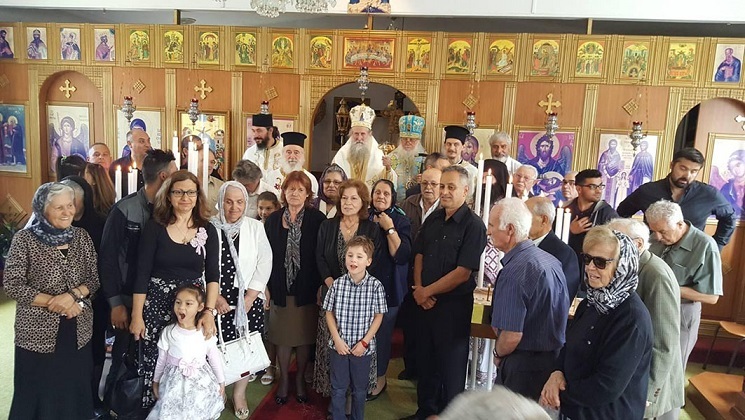 On Sunday, 10/23.12, the monastery of St Nicholas (Free Serbian Orthodox Diocese of Australia and New Zealand) celebrated their patronal feast. 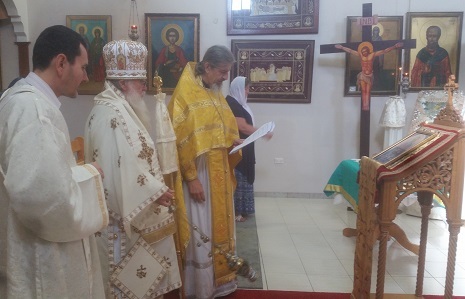 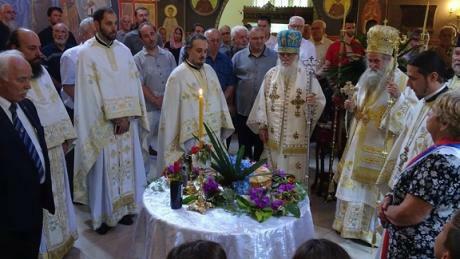 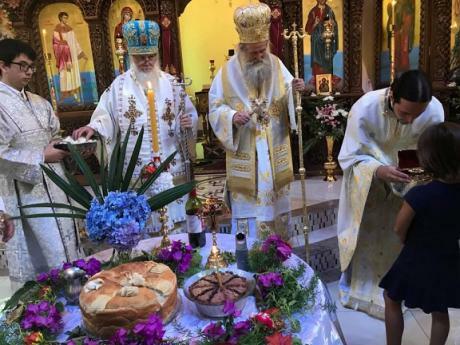 Bishop Ambrose presided at the festal services in concelebration with Bishop John, Archimandrites Hristifor and Simeon, Protopriest Zvonimir, and Priests Alexander and Atanasije. 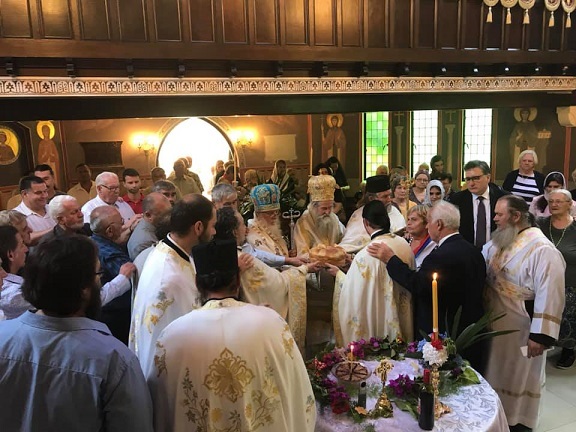 Bishop John presided at the Divine Liturgy on Saturday 9/22.12. 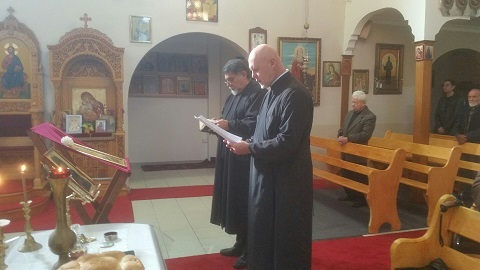 Thereafter followed a moleben asking God’s blessing for the Free Serbian Diocesan Council meeting, which subsequently elected Archimandrite Hristifor (Nedjic) as candidate to be Bishop for the Free Serbian Diocese of Australia and New Zealand. 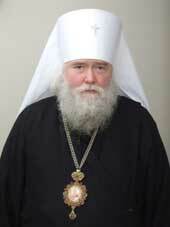 Meeting Bishop Ambrose on Sunday 10/23.12. 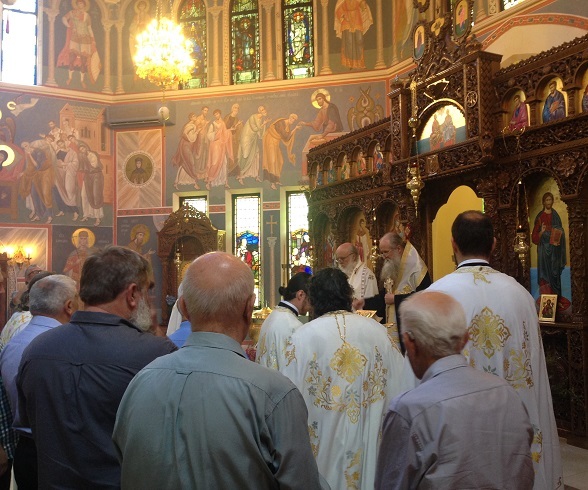 The St Nicholas Church has been frescoed beautifully over the course of the past year. After the service, the parish sisterhood offered a sumptuous meal in the hall. 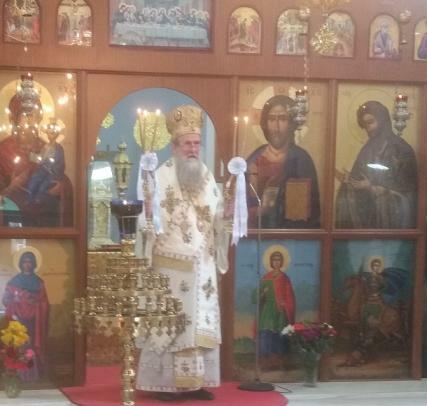 On Sunday, 26.11/9.12, Bishop Ambrose served in the parish of the Dormition of the Theotokos in Beaumaris (Melbourne), in concelebration with Bishop John of Melbourne (ROCA), Protopriest Stylianos, Hieromonks Theophilos and John, and Deacon Anastasios. 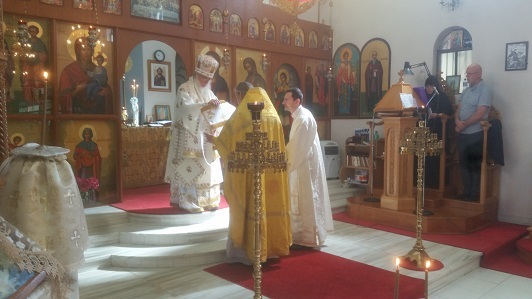 During the service, he ordained Fr Anastasios to the priesthood. On Sunday, November 12/25, 2018, the feast day of St John the Merciful, Bishop Ambrose visited the Greek Old Calendar parish of Sts Cosmas and Damian in Sydney. 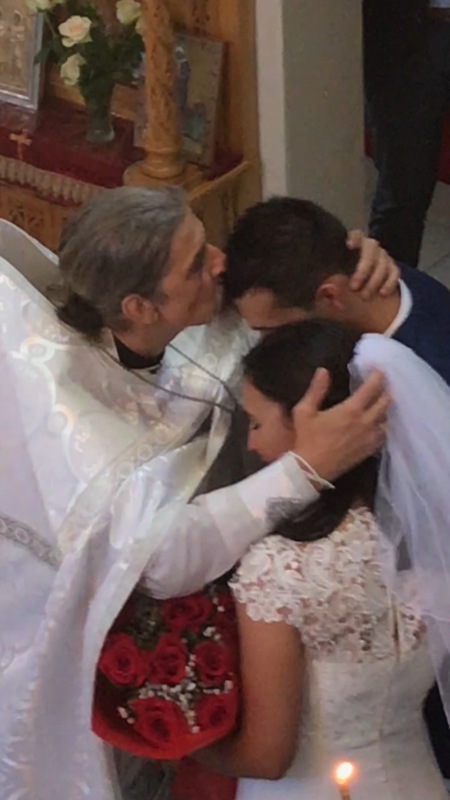 He concelebrated with father Nebojsa Mirkovic (ROCA). 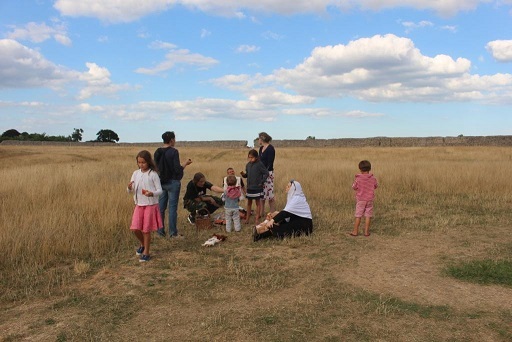 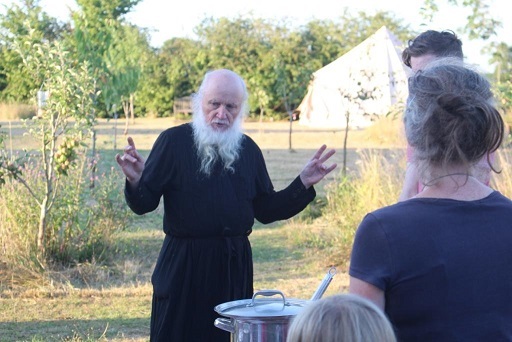 During August 2018, an informal children’s camp was held in England, where Bishop John contributed with teaching Law of God classes. 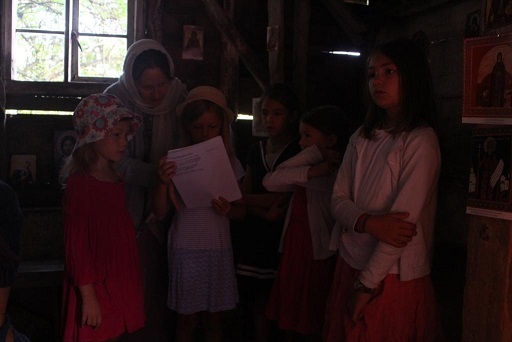 The children experienced communal camp life, daily church services, living in tents and taking their turn in a roster of duties. Everyone sang and read at the services together. 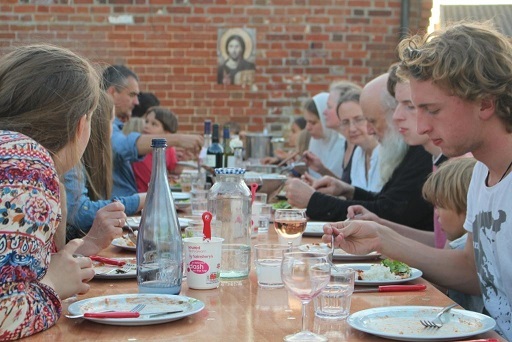 We had our meals together, during which we listened to reading from an edifying children’s book. 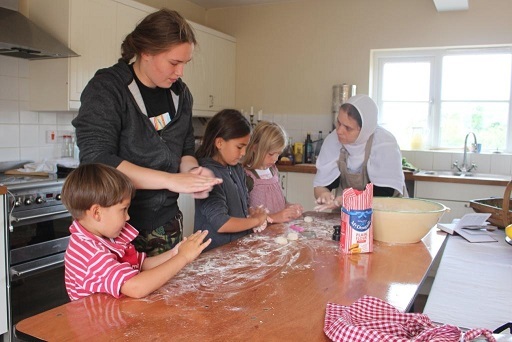 Daily blessing of porridge at breakfast! 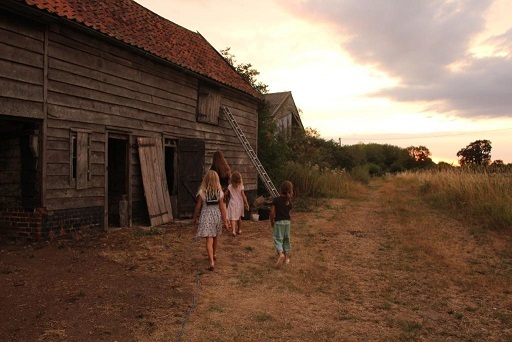 The children had lessons every day. 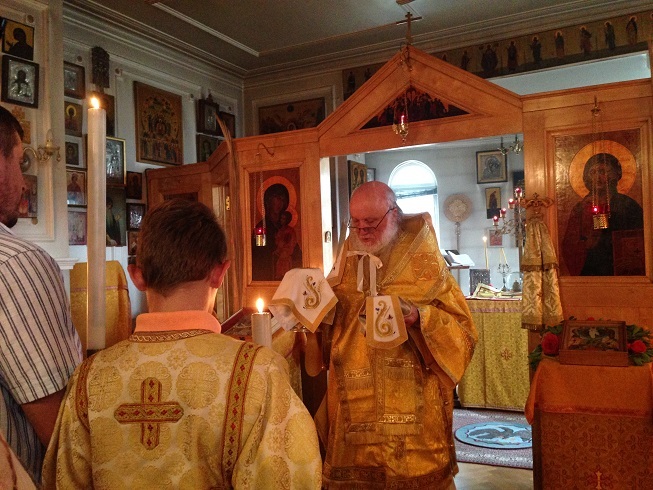 This years’ theme was the Divine Liturgy. 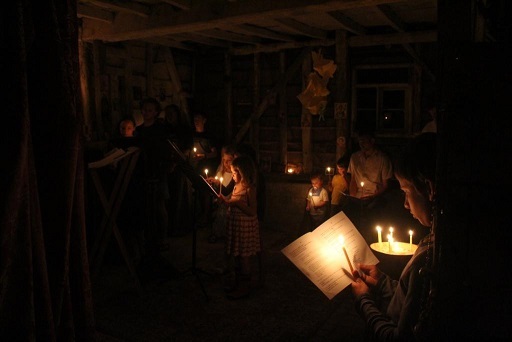 The children prayed every morning and evening in the improvised barn-chapel, which they themselves helped decorate. 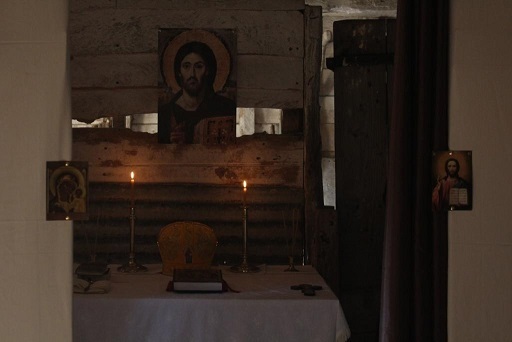 View of the altar in the barn-chapel. 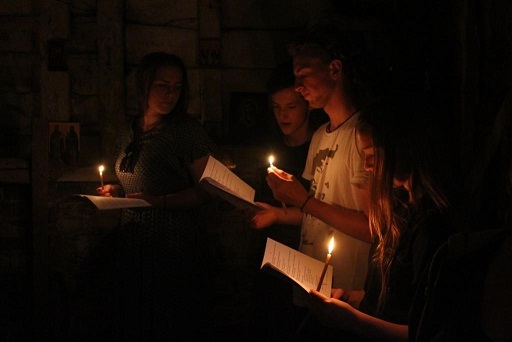 The altar server with the censer ready. We celebrated the Divine Liturgy on Sunday and at the end of the camp. 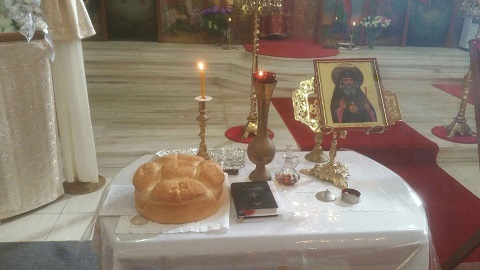 The children baked their own prosphoras, which were offered at the Liturgy. 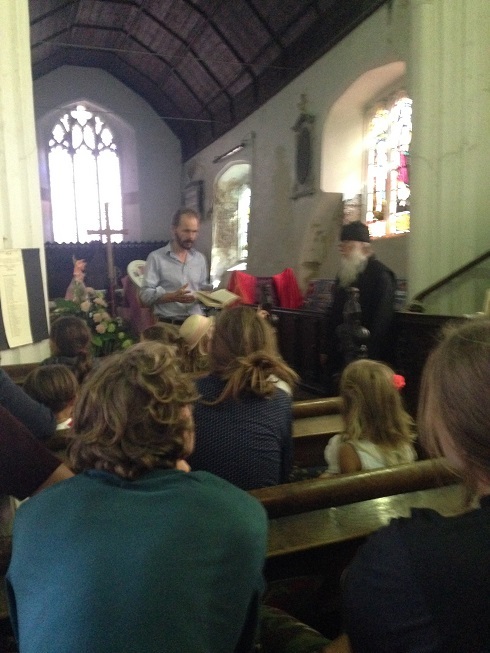 In addition to other excursions, we made a pilgrimage to the monastery of St Fursey, a 7th century Irish missionary monk who established a monastery on the site of an earlier Roman fortress. 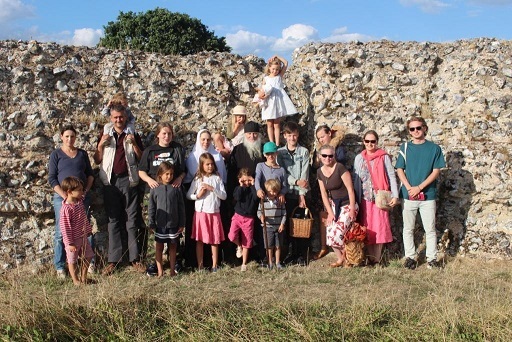 The walls of the huge Roman fortress where St Fursey built his monastery. 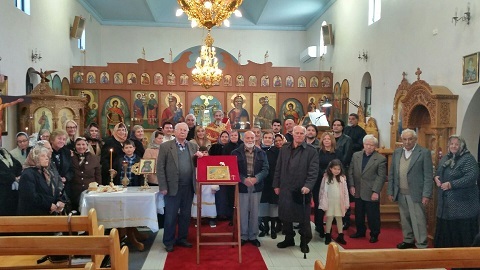 Group photo of the pilgrims. 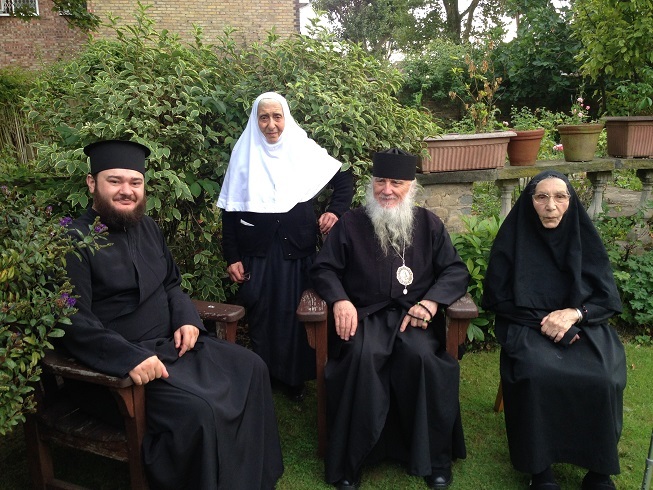 On the great feast of the Transfiguration of our Lord, Bishop John visited the historical Convent of the Annunciation in London, UK. 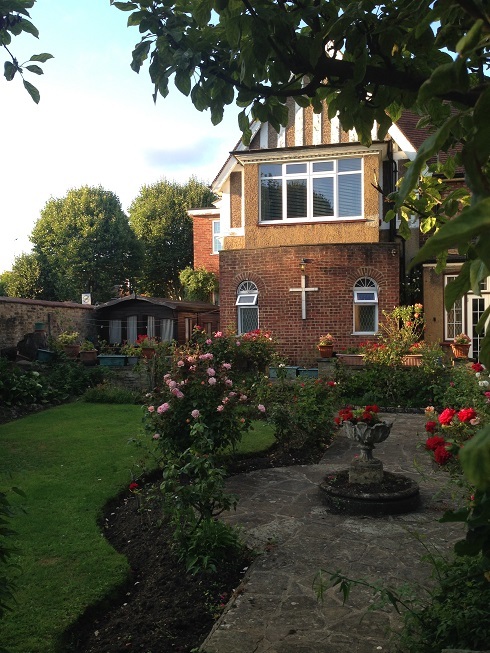 The Convent was established in the 1950s by St. John of Shanghai and San Fransisco and nuns from the Holy Land, guided by the ever-memorable Abbess Elizabeth (Ampenoff). 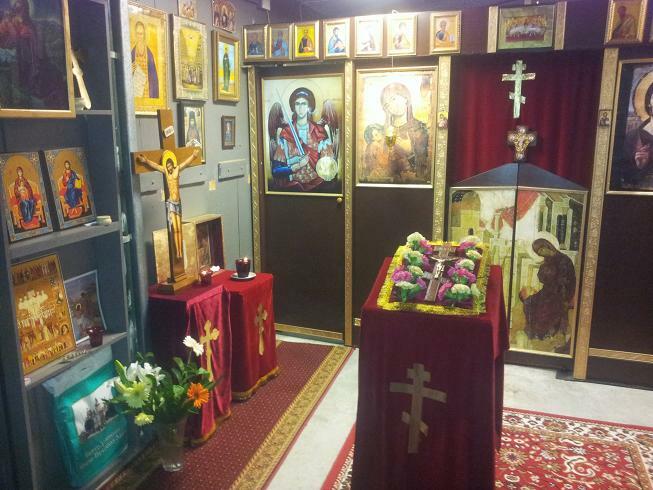 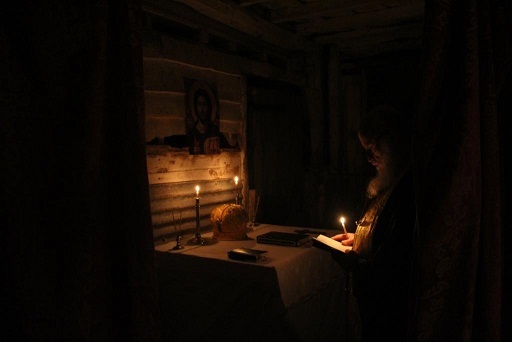 The Midnight Office, Hours and Liturgy were read and chanted in Slavonic, Arabic and English, and attended by faithful of diverse national backgrounds. Bishop John blessed the grapes and fruits brought by the people. 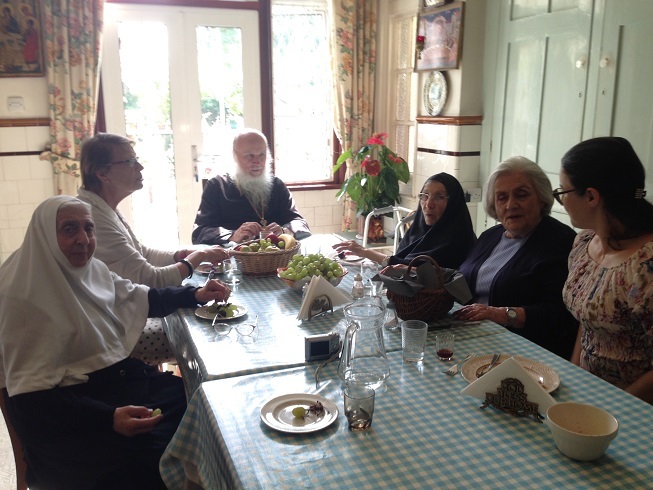 After the service, the sisters invited the parishioners for tea. 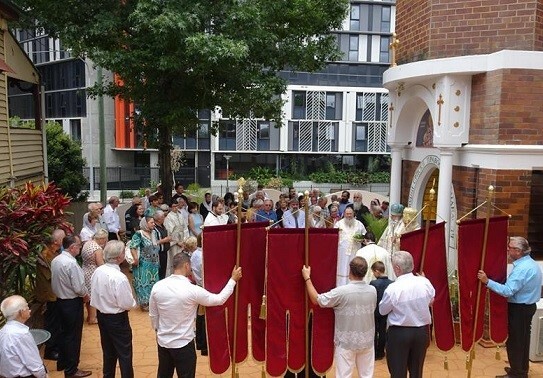 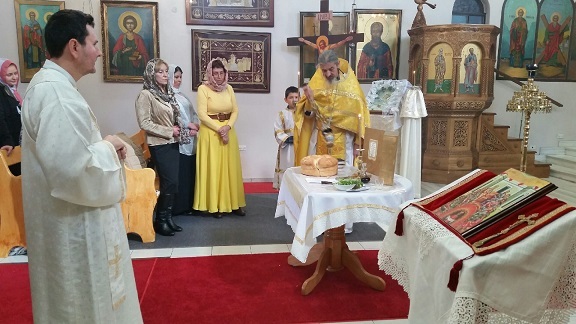 Newly-ordained priest Nicolae Capitanu (Old Calendar Orthodox Church of Romania) services the large population of Old Calendar Romanian faithful in London. 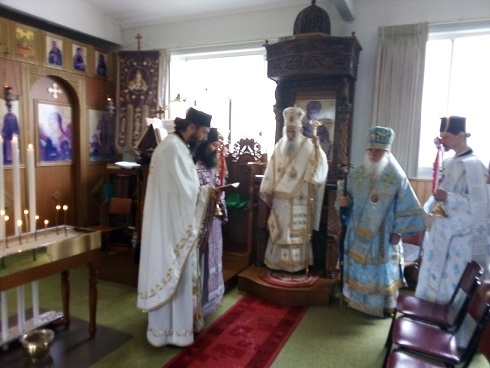 On Sunday 30.7./12.8. 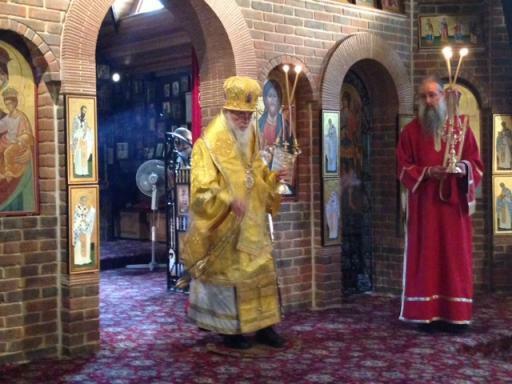 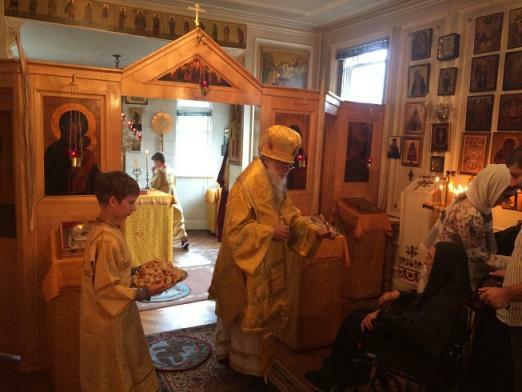 Bishop John visited the St Edward Orthodox Monastery near London, England. 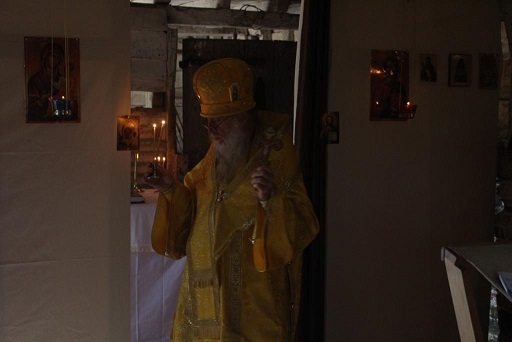 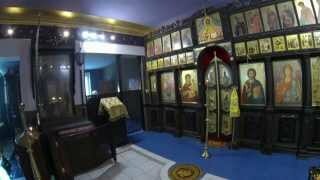 By God’s providence, the relics of the 10th century Orthodox Martyr, saint Edward the King of England, are venerated in this monastery since 1988. 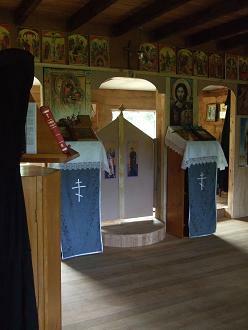 The monastery is located in peaceful surroundings within the Brookwood cemetery. 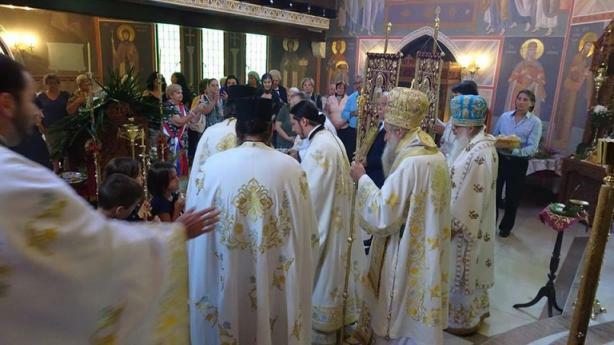 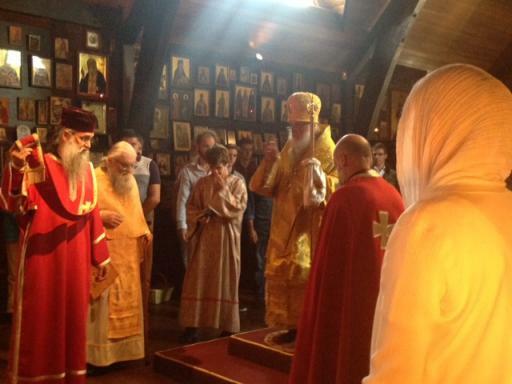 At the Divine Liturgy Archimandrite Alexis, Priest Borislav and Hierodeacon Sabbas (GOC) concelebrated. Parishioners of many nationalities attended the service, which was chanted in English, Greek, Romanian and Slavonic. The brotherhood kindly offered a meal and opportunity to speak with the people after the service. 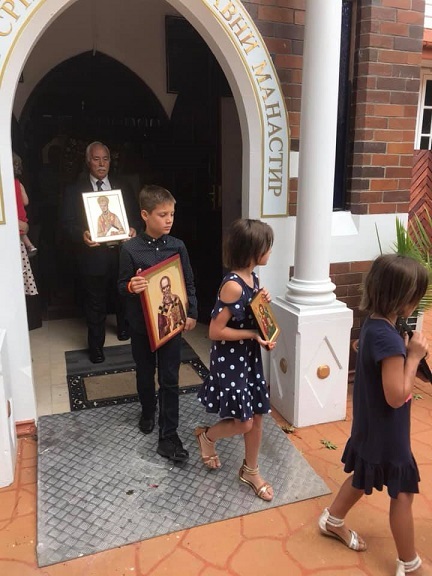 Pictures from the service in honour of St John of Shanghai and San Fransisco in Sydney. On the feast of Pentecost in Sydney, at the parish of Sts. 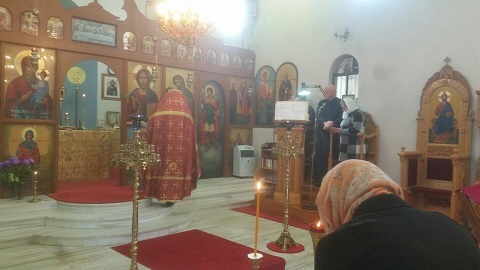 Cosmas and Damian, father Nebojsa Mirkovic (ROCA) conducted the services in three languages: English, Greek and Slavonic. 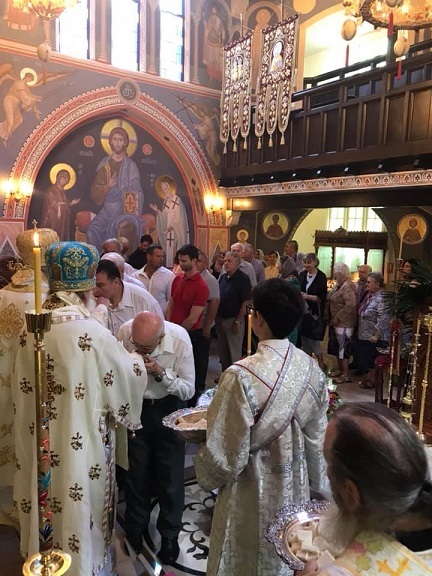 The church was well attended on this great feast, and many received Holy Communion. 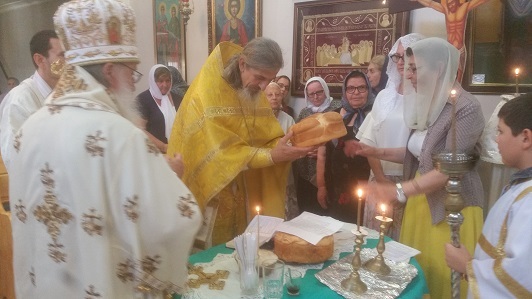 By the time the Slava cake was cut at the end of the long service, many had unfortunately left!